Home / All Posts / Bank Interview Preparation / Top interview questions / Top Interview Question and Answer: What will you chose personal or professional? 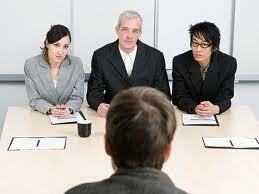 Top Interview Question and Answer: What will you chose personal or professional? Let me give you a situation: It is Friday afternoon. Tomorrow morning you have to catch a flight to Mumbai for your best friend’s marriage, and you are in the wedding. You have informed your branch team well in advance and they know that you will be gone. Just when you are about to leave, you find out that a client wants to meet with the banking team tomorrow. What will you do? This question is tricky, because if you straight away chose to stay with THE BANK it won't be appealing as the question is asked to check your approach on these kind of situations. One of the big assets you bring to a banking position, especially those with commercial banks, is your attitude towards work. This is a rather tricky question, but uses this to express the fact that you understand the hardships that an banking career would involve, and that you have endured such sacrifice situations previously. You can chose to answer that, "Depends upon the client's value of the relationship and what you take care in the team the decision may go, like if the customer/client is a Deposit/CASA customer and you are dealing in Credit/Forex you may leave for the marriage, However on the other side you have to stick with profession and it also depends upon the urgency/important of the meeting to be held"
Please share your views on the question and How better it can be answered.